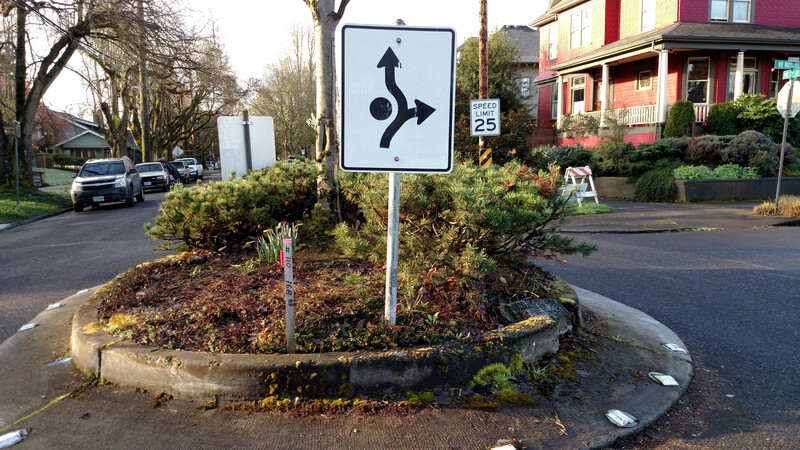 The Eliot Land Use & Transportation committee has had a busy few months. We have a few new energetic members, and we have been busy discussing projects as well. On the transportation side of things, we have been discussing the possibility of installing a parking permit district in southern Eliot. I am really curious to hear what you think of this. This doesn’t affect me personally, as I live on a block that would be outside of this district. I live on a block that seems to have enough space for everyone to park most of the time. However I realize that there are some who park on the next block over every day, and they feel like it is a problem for them to park on a regular basis. Another turn around the sun and a number of new buildings coming to Eliot. 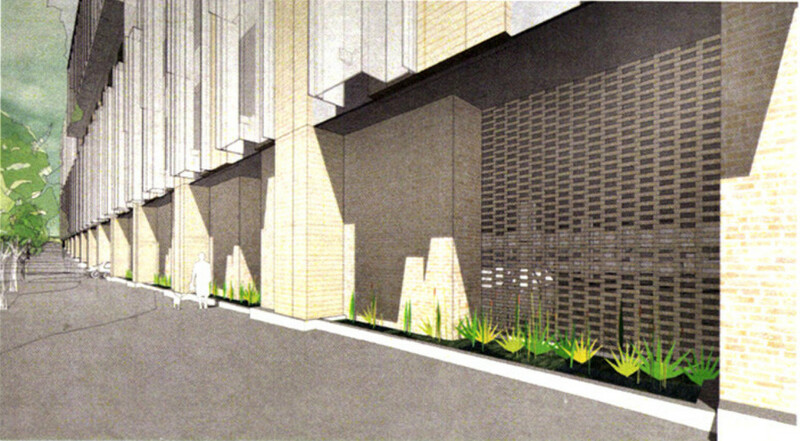 We’ve got a bunch of under-construction projects, including two projects on MLK – Cascadia’s Garlington Center at NE Morris Street (housing and social services) and PCRI’s C-shaped building a few blocks up between Cook and Ivy. There are also two projects going up in the southern Vancouver/Williams Corridor- 160 Units at Hancock and another 45 on Vancouver near Page. A co-housing complex is going up at 20 NE Tillamook and Bridge Housing is proposing a 4-story building at Williams and Tillamook as well. I’ll talk transportation first because there are a few things happening on this front. TriMet has a survey of what improvements they should make this year. There was a bump in bus funding statewide as part of a large transportation package that passed this year. At the top of Eliot’s priority list would be extending line #24 to NW Portland. The #24 is currently a marginally useful line that runs from Legacy Emanuel hospital east along Fremont to Gateway TC. 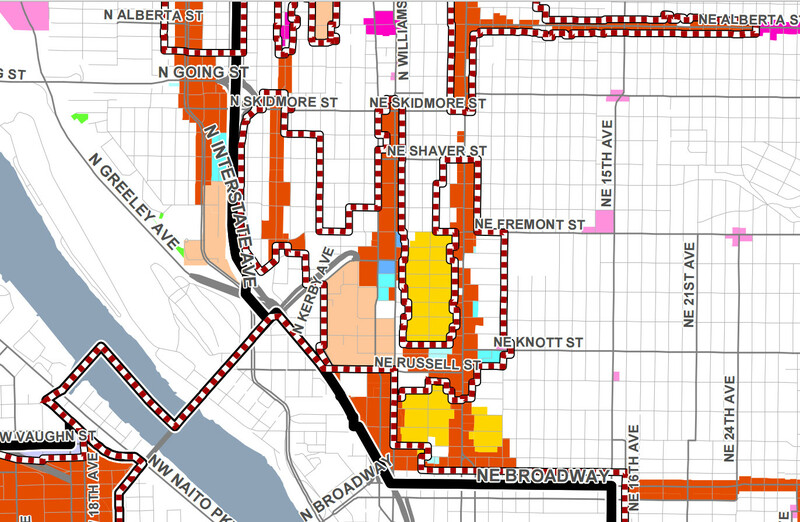 The proposal is to have the line continue westward across the Fremont bridge to Goose hollow, connecting to the MAX on both ends. Eliot is experiencing a sustained building boom that is slowly replacing housing that was lost by original residents, the majority being African Americans. 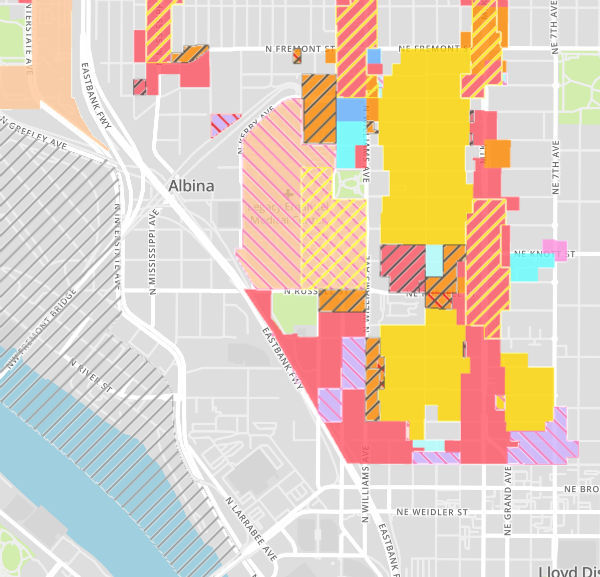 With the new Cascadia campus on MLK and Monroe, the neighborhood has a chance to revitalize and provide some housing relief for families that have been forced to leave as the neighborhood transitioned. 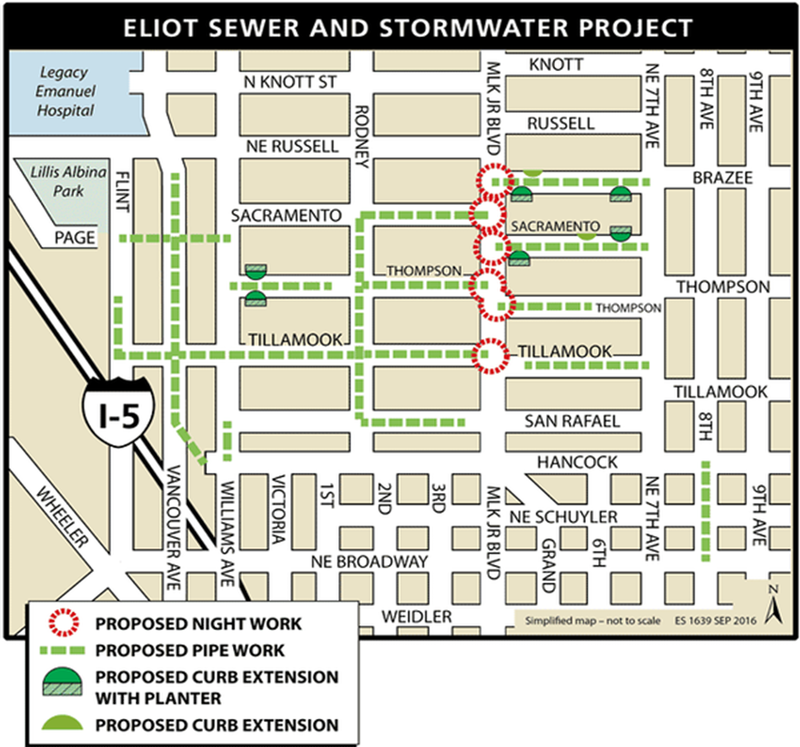 Environmental Services is designing a project to construct, replace, or repair up to 10,000 feet of public sewer pipes in the southern portion of the Eliot Neighborhood. Many of the existing combined sewer pipes are deteriorating due to age or are undersized for the sewer and stormwater flows in this area. This project is one of many that will protect the public and the environment by reducing the possibility of sewage releases to homes, businesses and streets. Emanuel Hospital representatives recently met with the Eliot Land Use Committee for their annual report. They are about to embark on a major expansion on the West side of their campus (by Kerby, near I-5). They will be building a large building on the site with even more parking and a new burn center that would be the first renovation for that center in a long time. The building looks like a giant wall, but it is not in an area that usually has people walking in it so maybe that is ok. Members of the committee were not excited about the design of the building, however the improvements to the hospital sound really exciting and it is a huge asset to have a top tier hospital in the area. 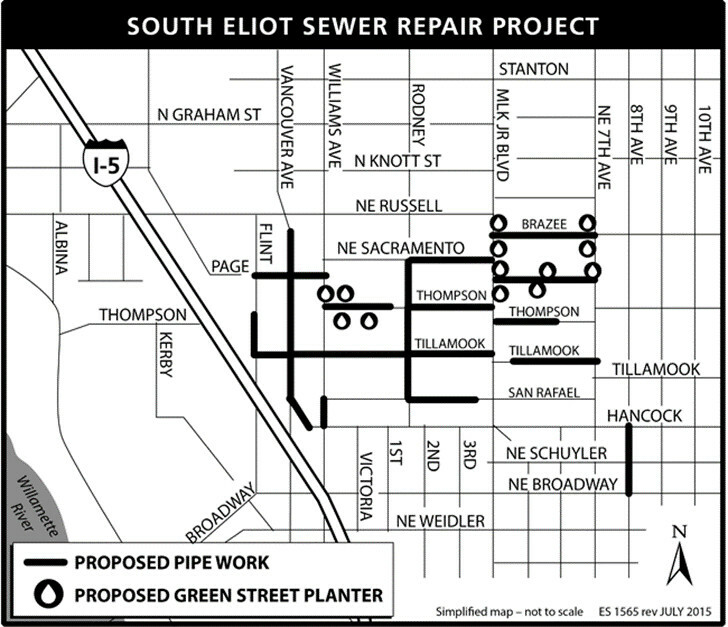 Map of South Eliot sewer repair project. Residents of south Eliot and others may have noticed all of the colored paint on the street, sidewalk and even parking strips as well as surveyors blocking traffic on MLK weekend mornings. This is all part of planning for the City’s South Eliot Sewer and Storm Water Project. The project is tentatively scheduled to begin in the spring of 2017, so it is a ways off.